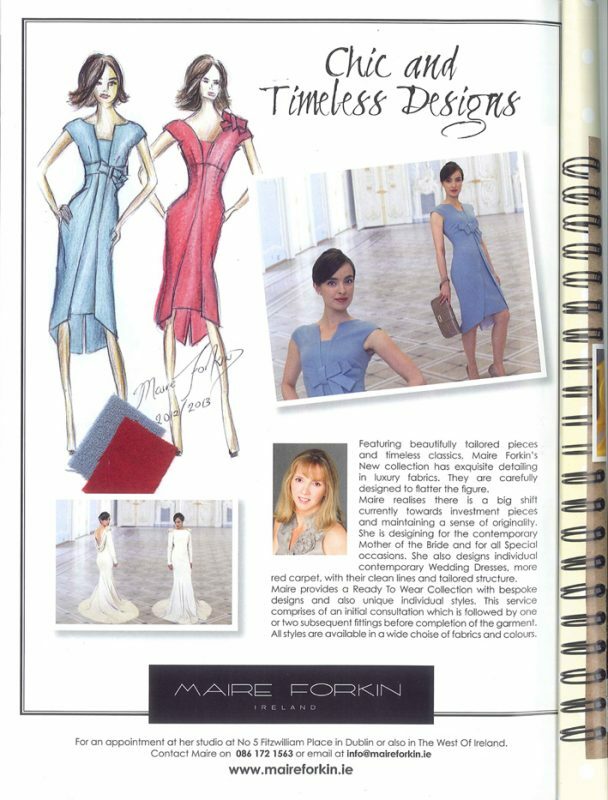 Maire has here a few of her new Spring collection photographed this month in The Social and Personal magazine. Timeless styles here for Mother of the Bride and Guest at Wedding. Also some red carpet looks for the bride who wants her own specially designed wedding dress.